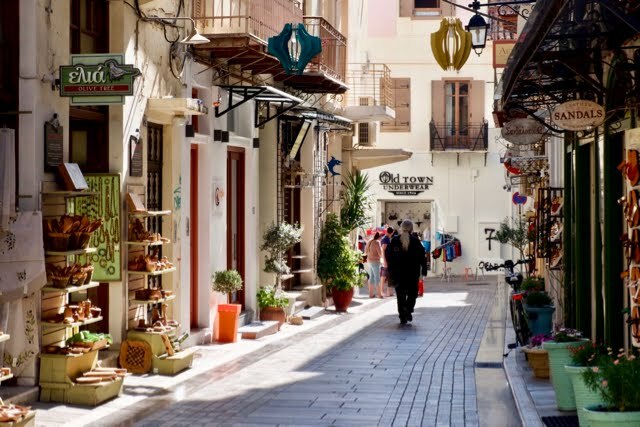 Many of the passengers fell in love with Nafplion today. 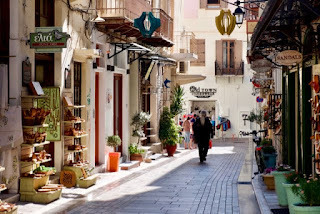 It might be that its quiet and neat streets were just a massive contrast to the chaotic and dusty towns of Egypt, where you couldn't walk 10 yards without someone latching on to you to try to sell you something. 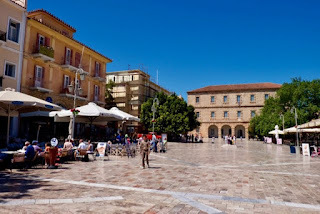 Or, it might be that being in a pedestrianised, scrupulously-clean little town like this, was a nice contrast with the big city traffic and graffiti-covered feel of Athens the day before. 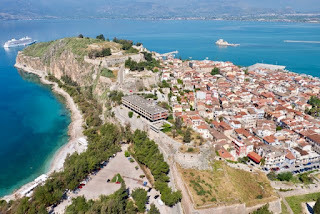 But, the most simple explanation is simply that Nafplion has a beautiful natural location on a peninsula jutting into the deep blue sea, and an attractive array of harmonious historic architecture along its marble covered streets. 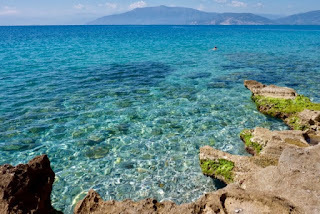 With plentiful Venetian influences, it has a similar look to the old Venetian towns of the Croatian coastline. 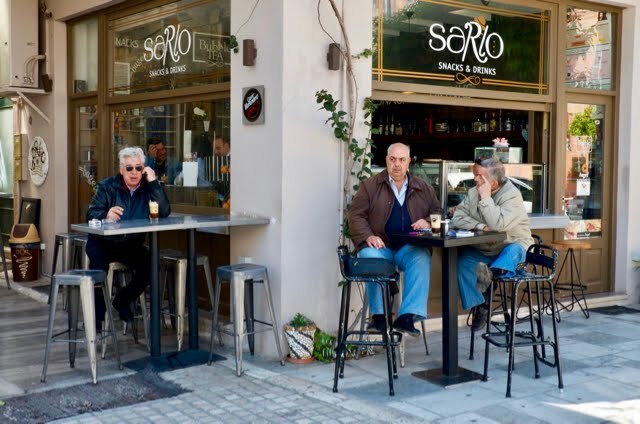 Add in lots of pleasant alfresco cafes and restaurants, and some great shopping, and this made the perfect stop for world cruisers beginning to wind down at the end of four months cruising. Tracy and I have been here a few times, so we didn't have to rush around ticking off sights. 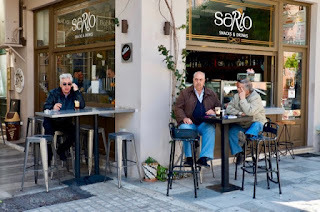 Instead, we restricted ourselves to enjoying a relaxing morning in a cafe in the beautiful main square, followed up by a work out of climbing the 900 or so steps up to the Palamidi Fortress, high up on the hill that overlooks the town. It wasn't too hot, so we didn't struggle too much getting up there and back, but I'm sure that our knees, ankles and thighs will be protesting tomorrow. From the Fortress, this supremely photogenic town was looking as good as ever, while the beach down below had quite a few people swimming out in the sea – which would have been a good way to cool down again, if we'd thought to bring our swimming costumes. 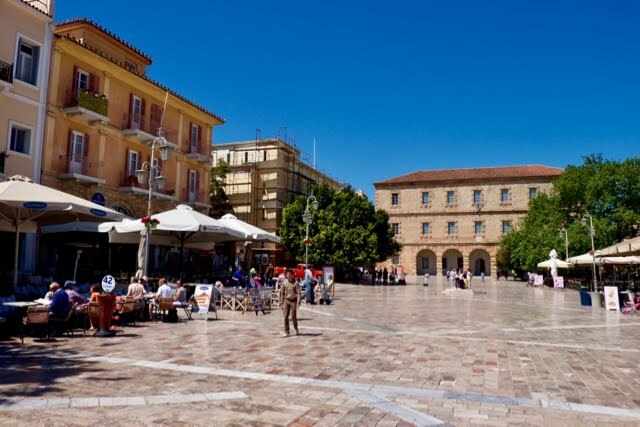 Whenever we come to Nafplion, we always think that a place like this deserves a stay of a few weeks to soak up the relaxing atmosphere, and to sample the historic sights of the Peloponnese beyond. 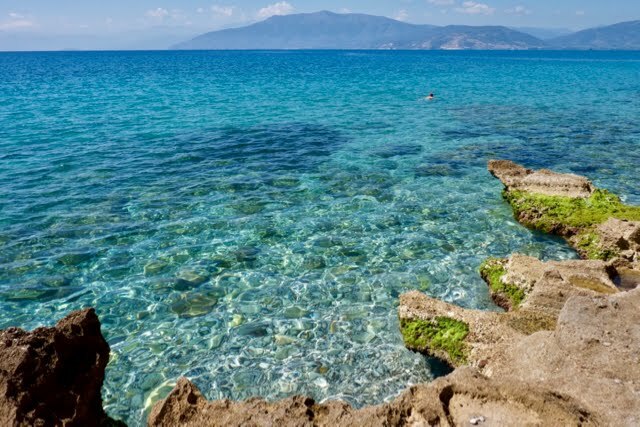 Tracy is giving Nafplion some serious thought as a venue for a month-long stay in 2018. I hope we do. 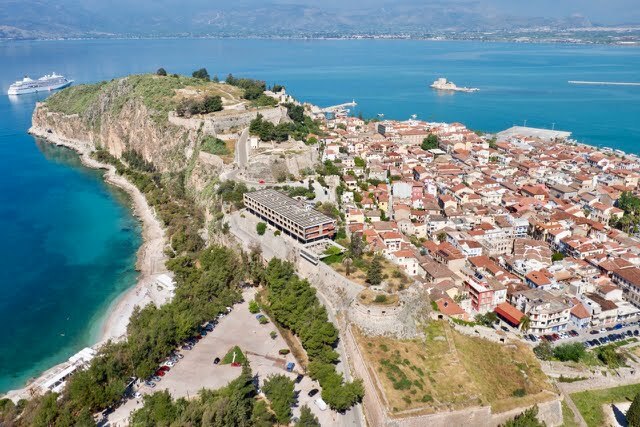 No wonder the Greeks call the town, "Oraia Nafplion" – this place really is "Beautiful Nafplion".